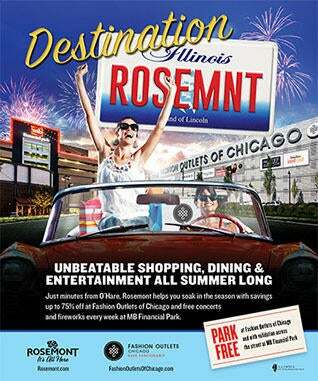 As a thriving mini-metropolis, Rosemont has everything locals and visitors could want in a 2.5 mile radius. 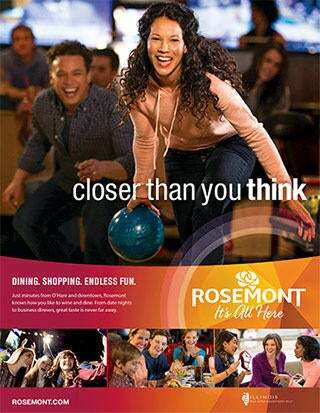 From their convention space, to the park that serves as a hub of excitement, we were fortunate to be able to create unique yet cohesive campaigns for each of Rosemont’s assets. 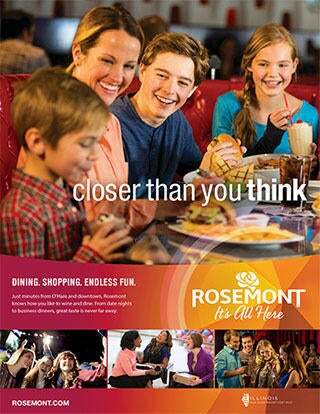 We wanted to show how Rosemont brought you closer to the action and those you love the most. 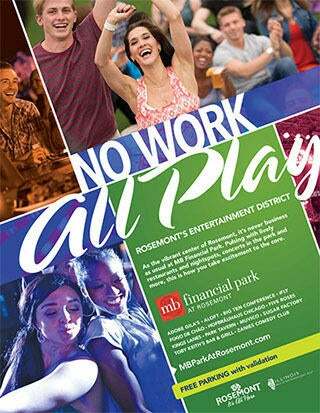 Our lifestyle campaign featured visuals that showed off the city’s myriad of hot spots, highlighted by an entendre-laden headline. 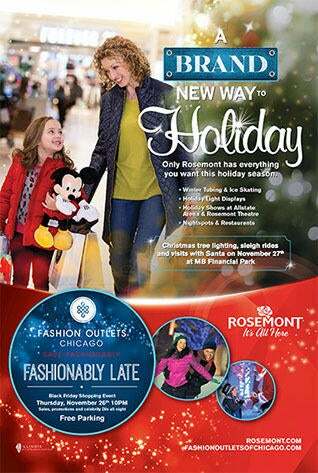 At Rosemont, the seasons greet you with an abundance of activity. We created two destination-focused campaigns designed to highlight the most wonderful times of the year. 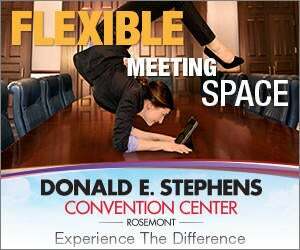 How do you make convention space interesting? 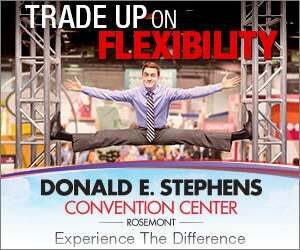 That was the question, and we answered with a campaign that stretched expectations. 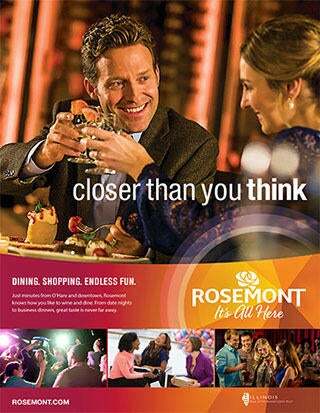 At the center of Rosemont, MB Financial Park blooms with restaurants, nightlife, live concerts and plenty of family fun, but the name was throwing their audience for a loop. 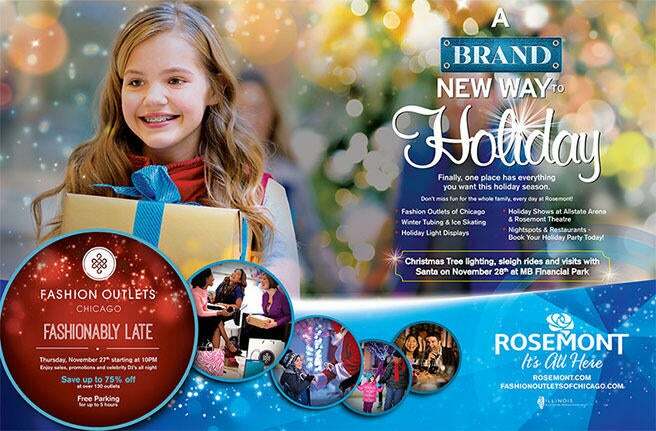 We highlighted this entertainment hub with a bright and playful campaign that encouraged visitors to be off the clock.